As the upscale brand within the H&M family, COS stores reflect the design values and aesthetic of clean lines and natural elements. The first statement at the storefront espouses the brand’s notions of modernity and functionality. 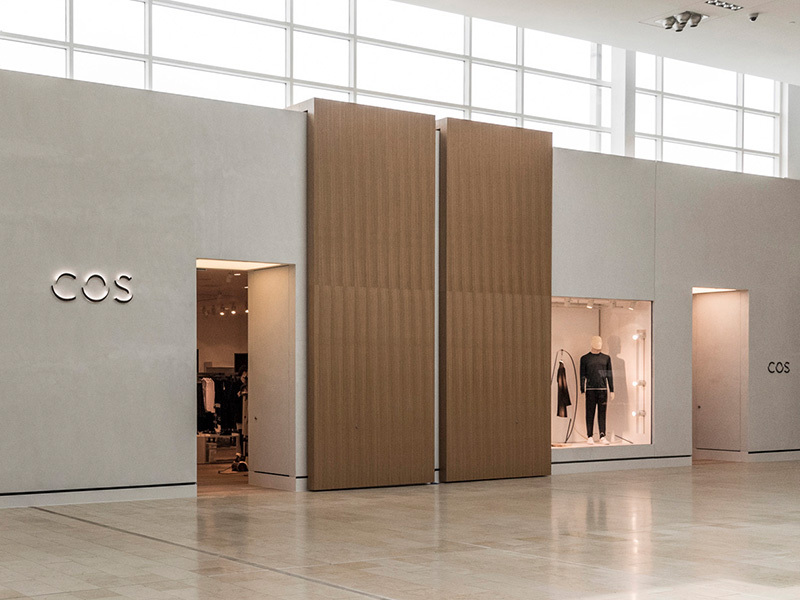 Yorkdale’s COS includes fashion collections for women, men and children, in an open environment featuring minimalist white walls with mid-century modern furniture accenting the space. Each double height wood storefront door is 20 feet high by 7 feet wide and weighs 850 lbs.